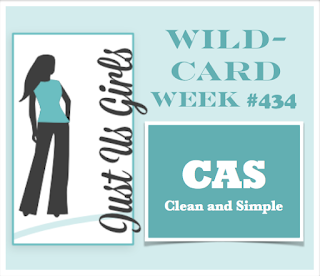 It's Wild Card Week over at Just Us Girls and Angie chose CAS: Clean and Simple as her challenge. I made four cards, but only three made the cut! 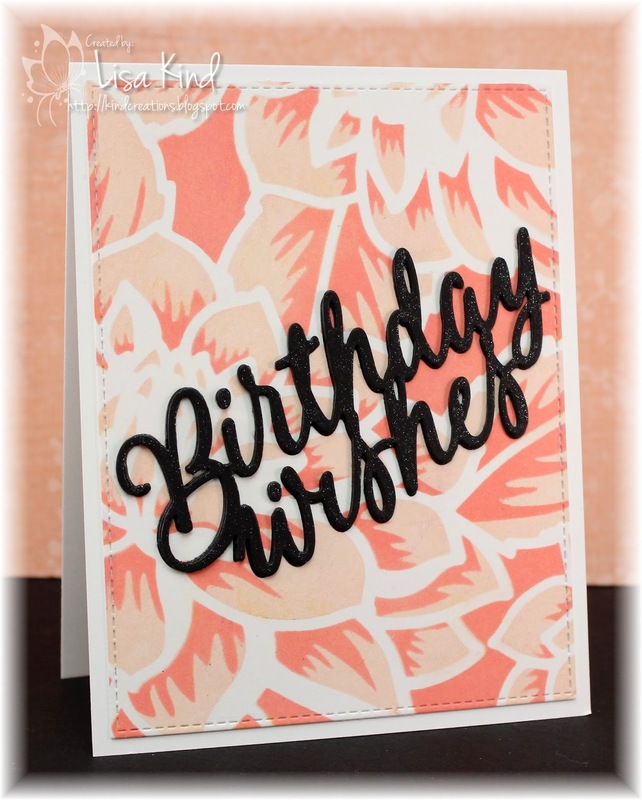 I chose this layered dahlia stencils from Altenew for my background and sponged two coordinating colors on each, then added a stacked die cut on each one. The die cuts have shimmer on them. On this one, I used wild honey and spiced marmalade oxide inks. The one that didn't make it used shaded lilac and wilted violet. It was so pretty! But some of the yellow inks got on it and it was unsalvageable! I so wanted to make another, but my stencils were cleaned and inks put away. 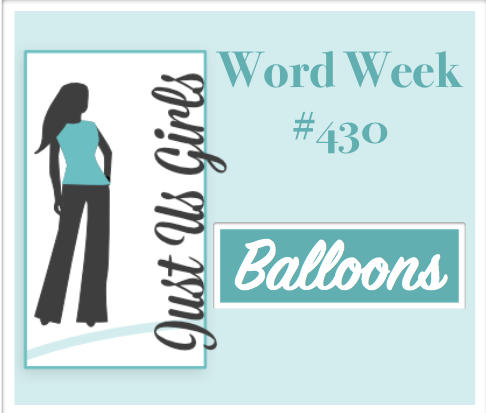 You can see more from the JUGs design team and our March guest, Stef Perry, on the JUGs blog. This is her last week with us and I'd like to thank her for joining us with her amazing cards this month! Hi friends! 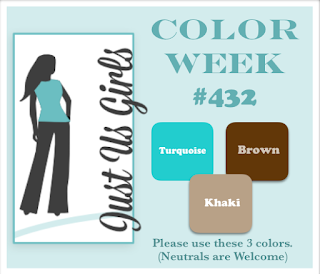 This week is the Home Sweet Home challenge over at Time Out. We have this lovely photo that is just so full of fresh and clean colors! 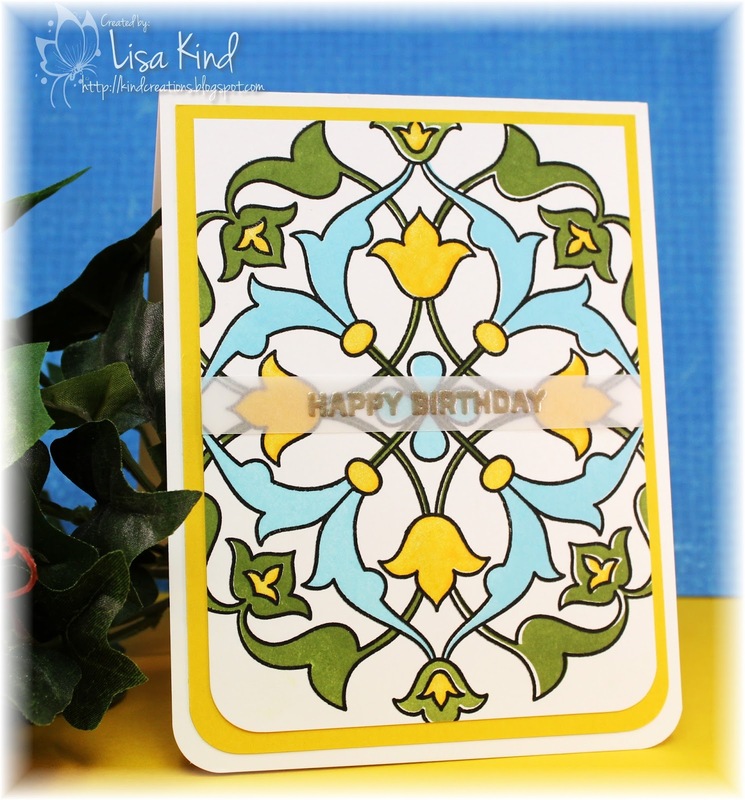 Altenew is sponsoring this challenge, so I pulled out all my Altenew stamps and chose to use this Arabesque Medallion set. It's never been used and I love how it's designed with stamps for all the open spaces. So clever! I pulled out all the colors in the photo and used them on my card. I really didn't want to cover up any of this lovely stamp, so I used vellum for the sentiment. It was stamped in Versamark and embossed with liquid platinum embossing powder. I wish I would have stamped and embossed it in black. It sort of gets lost. But I'm still happy with the whole card. There's shimmer on all the yellow flowers and dots too. You can see more details about this challenge and what the Time Out design team and guest, Sarah, created on the Time Out blog. Hi friends! 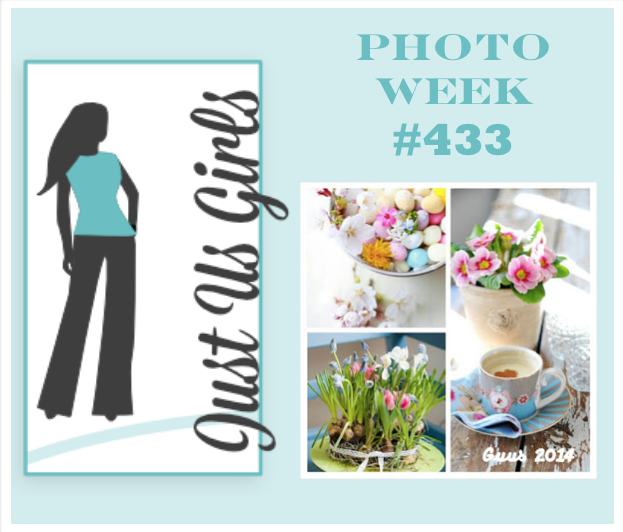 It's Photo Week over at Just Us Girls. Bobby chose these photos that so evokes the spring season (hoping it gets here soon!). I wanted to make an Easter card using the photo with the eggs as my inspiration. 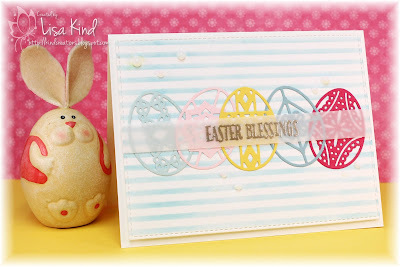 I pulled out PTI's Etched Egg dies and die cut them from colored cardstock. I also liked the blue stripes on that saucer in the photo, so I used Broken China oxide ink and a stripe stencil and created my background. For the sentiment, I embossed it on vellum with liquid platinum embossing powder. I added Nuvo drops, but wish I had used sequins. I have to say that I'm not crazy about how this card turned out. I guess it was the two glasses of wine I had before making it (it was a tough day at school!). ☘☘Happy St. Patrick's Day! This week over at Just Us Girls, Nancy chose one of my favorite color combinations for our Color Week challenge! I just love blue and brown together! Anyway, I stamped this dahlia turnabout stamp with Catherine Pooler inks. First with It's a Boy, then with Icing on the Cake, and last with Fiesta Blue. 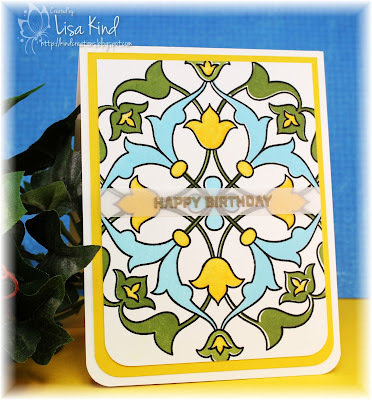 I skipped stamping the fourth time and used the die instead so I could pop the panel up on some desert storm cardstock. Then I layered that on the Island Indigo cardstock. 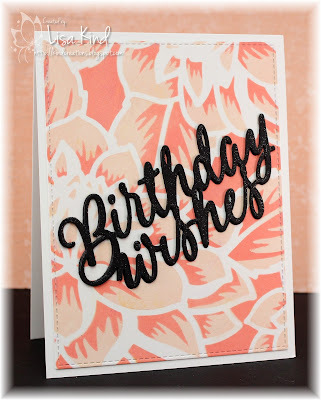 The sentiment was die cut with the same cardstock and layered together. For some final finishes, I used spectrum noir shimmer on the die cut petals and added some clear sequins. Hey everyone! 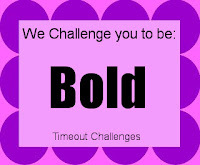 It's a special challenge at the Time Out blog! 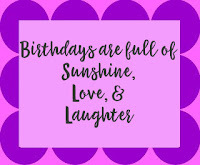 It's our 4th birthday! Where has the time gone? This is the quote we'd like you to be inspired by for this challenge. Perfect for our birthday celebration! And to make this celebration even more special, we are sponsored by one of my favorite stamp companies...Concord & 9th! They were so generous and allowed our Time Out design team to pick out something from their store to celebrate with. 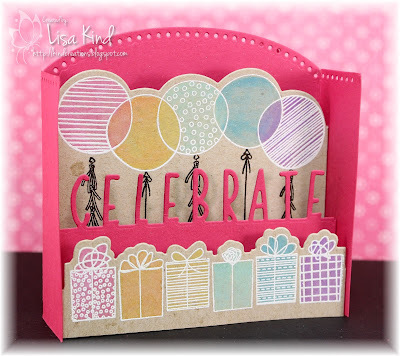 I chose this really cool stamp and die set called Birthday Stacks. It creates this sort of 3-D pop up card (there's a video on how to create it on the link I just noted). It actually folds flat so it can be easily mailed in a regular A-2 size envelope. I recently watched a video from Amy R where she colored some images using Distress Oxide inks on kraft paper. I used the same colors on my stamped and embossed balloon and present images. After stamping the images, I die cut them and the word celebrate at different heights so they would layer into the wrap. 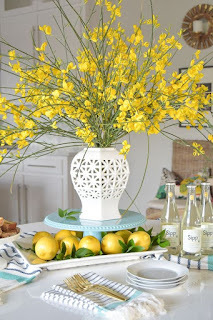 Such a cute design idea! Love their creativeness at Concord & 9th! You can see more on the Time Out blog and the Concord & 9th blog. 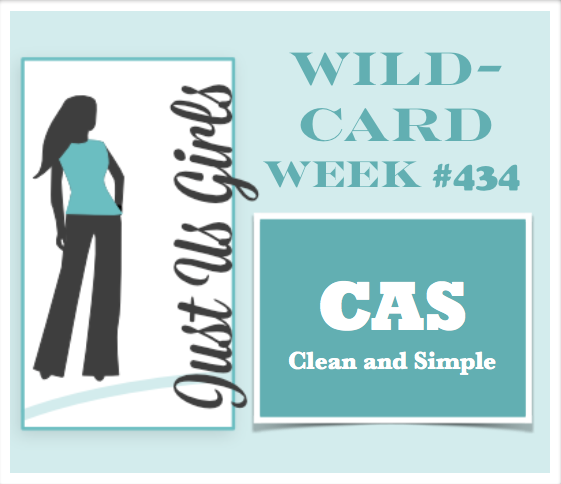 Our guest for this challenge is Claire. Hello everyone! We have a fun Trend Challenge over at Just Us Girls. 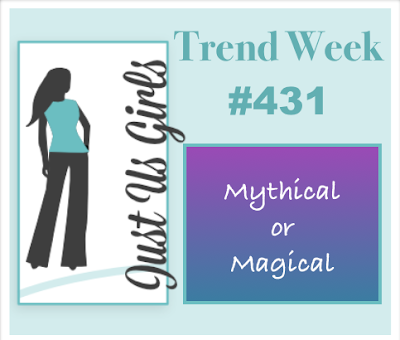 Carol chose as the trend "mythical" or "magical". I was on a design team for a now defunct stamp company called Paper Makeup Stamps. Many of the stamps the company designed were fairies. I went searching through my stash of them and found this silhouette of a praying fairy. I thought it would make a nice sympathy card. I stamped the image using Versafine onyx black ink using the MISTI to get a good solid image. 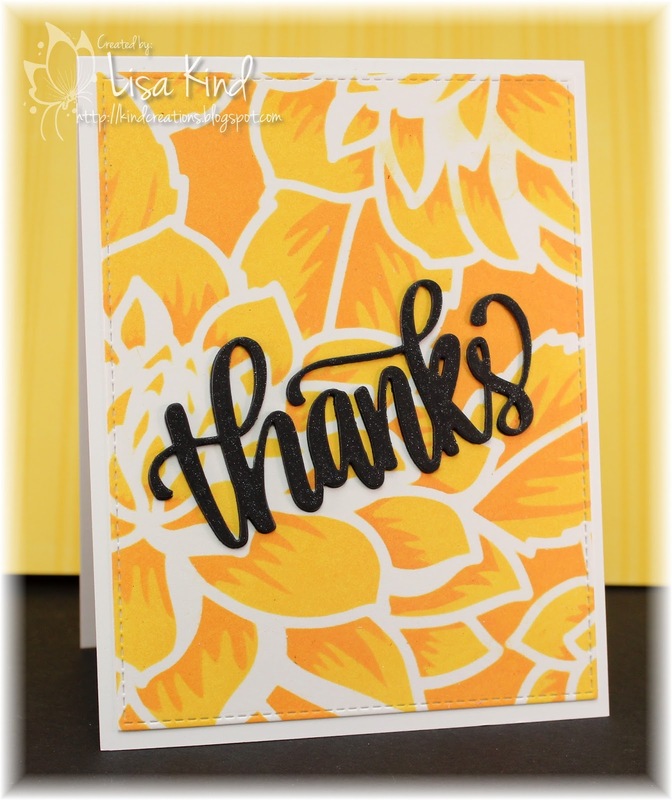 I then die cut it with a stitched rounded square die and while it was still in the die, I used a soft brush and inked some yellow ink around the image. I then just mounted it on some pattern paper, added the embossed sentiment, flower, and sequins. It's also spritzed with shimmer spritz for a more magical look. Hey everyone! 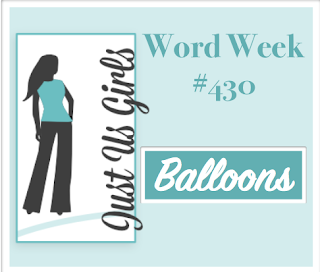 It's Word Week at Just Us Girls and Maria chose the word BALLOONS. So many choices of balloons in my collection to use! 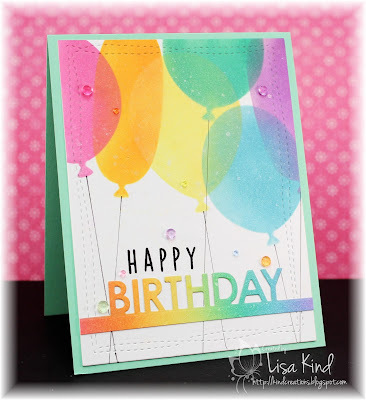 I wanted to try this MFT balloon stencil and distress oxide inks. I used ink colors in rainbow order. After inking them through the stencil, I die cut the panel with a wonky stitches die. Then I drew in the strings with a black marker and ruler. For the sentiment, I inked up a piece of cardstock in the same colors of ink and die cut the word. I adhered it to the panel then stamped the happy above it. Gems and shimmer spritz finished it off. 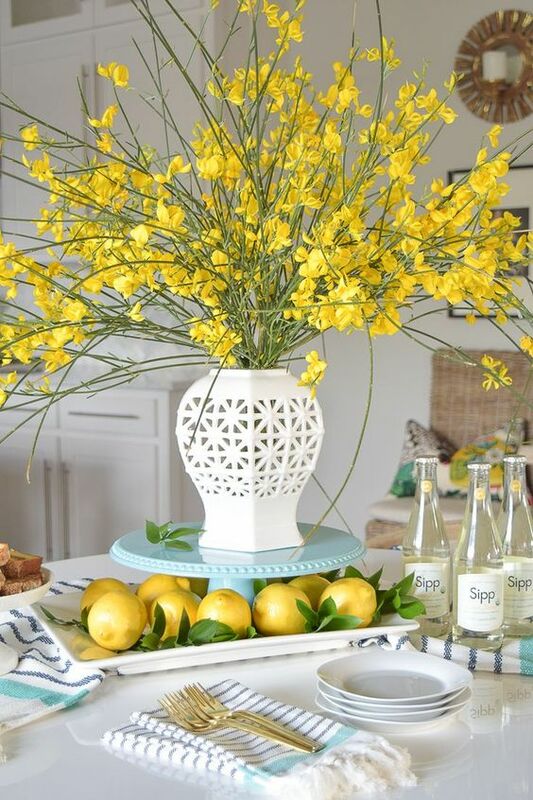 You can see more from our JUGs design team and March guest, Stef Perry, on the JUGs blog. Hi friends! 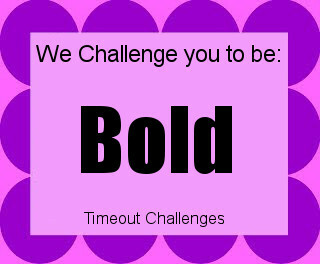 It's time for a new challenge over at the Time Out blog, and they are challenging us to be BOLD. 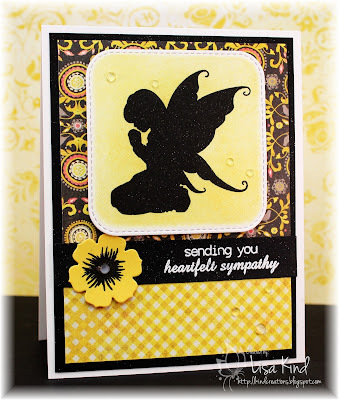 Our sponsor for this challenge is Poppystamps, and they provided us with our choice of stamps. 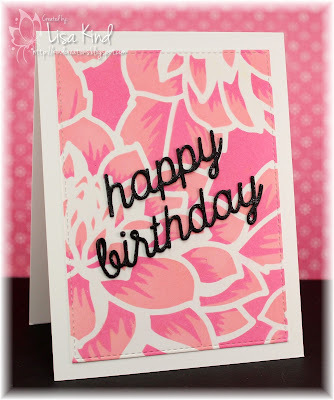 I chose this pretty Flourish Blooms stamp and die set. To go with the bold theme, I first chose this black and white gingham pattern paper then chose bold pink and yellow inks. I over stamped them with the flourish image in black ink. I used the die to cut out the flowers. 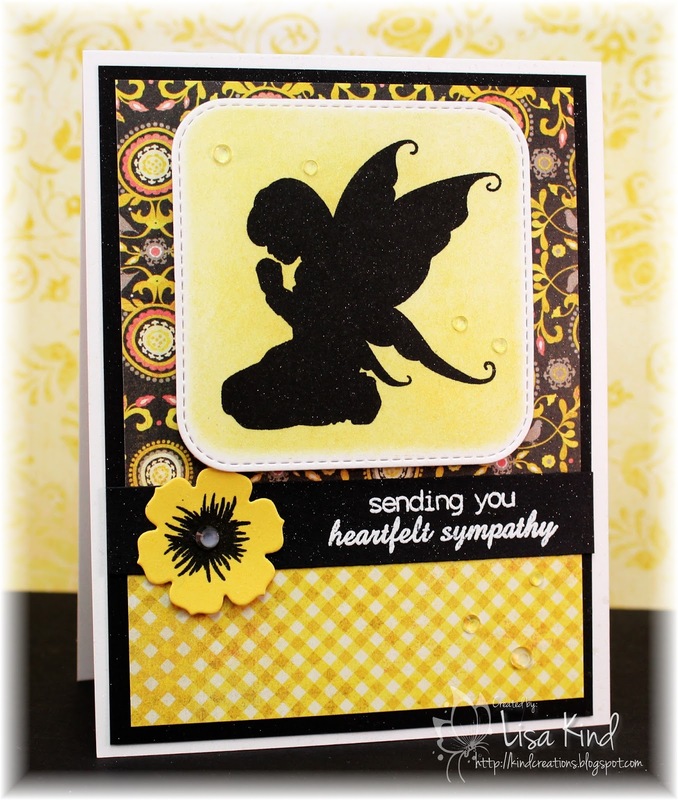 The sentiment is also from the set, and it was stamped with Versamark and embossed in white on black cardstock. I added Nuvo drops in pink and yellow. The base of the card was impressed with a linen impression plate.